Had a Wreck! Need Help. All repairs have a lifetime guarantee! At Gilbert’s Collision Center, your family’s safety is our #1 priority. Have you been in a car accident? Did you know that you have the right, by law, to choose the body shop of your choice to repair your vehicle? That’s where we come in! Choose Gilbert’s Collision Center in Cleveland, TN just like so many others have done with complete satisfaction. At Gilbert’s Collision Center, your family’s safety is our #1 priority. That’s why we stand behind all repairs with a lifetime guarantee. Jason Gilbert is the founder, owner, and operator of Gilbert’s Collision Center. The body shop began in 1997 at its former location on Georgetown Rd. In 2005, we moved to our state-of-the-art facility at our present location on Star Vue Drive (behind The Chef on S Lee Hwy). When you come to Gilbert’s Collision Center for a free estimate, Jason will personally and promptly write the estimate for you. Jason’s wife, Laura, runs the front office and will handle all of the insurance matters for you, if you prefer not to deal with the hassle. Jason was formally trained at the Wyoming Technical Institute in Laramie, Wyoming. He has been awarded many Certificates of Excellence in the areas of collision repair including unibody repair, plastic repair, finish matching, straightening systems, welding, replacement of structural components, suspension, steering and alignment, restoring corrosion protection, and restoring pre-accident appearance. Jason is part of the “Gilbert Clan” here in Cleveland. He was born and raised here in Cleveland. He has been inspired by the many small businesses his family members have successfully owned and run including the Village Bake Shop, Town House Bakery, Gilbert Fence Co., Gilbert Real Estate, and Gibco Construction. Jason and Laura attend church faithfully with their two children at Heritage Fellowship COG in Mc Donald where Jason’s dad, Steve Gilbert, is the Pastor. 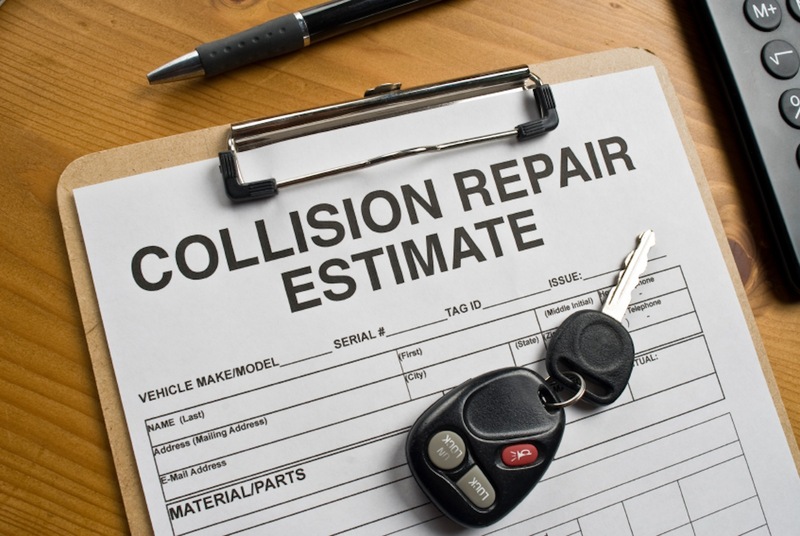 We are a full service collision repair center committed to returning your vehicle to its pre-accident condition. We staff only ASE/I-Car trained technicians to use our state-of-the-art equipment when repairing your vehicle. Safety is our number 1 priority. We remember that you, your family and friends will be depending on the quality of our repair work when traveling in your vehicle. We take that as seriously as if it were our own family car. We have recently upgraded our paint system to a PPG environmentally approved Waterborne system. By spraying this new technology, we are, in essence, saving the emissions of over 1,000 cars per month. That shrinks our carbon footprint tremendously compared to other body shops not using this new technology. We pledge to return your vehicle in a timely manner with a full cleanup included at no charge. We meet all industry standards set forth by OSHA and insurance companies at our shop. Samaritan’s Purse Transitions at B.I.C.C. Have you seen our commercials? Can I take my car to any shop I choose? Yes. Under state law it is illegal to “steer” you to a particular shop. Always take your vehicle to a shop you trust. Don’t take our word for it, read what our happy customers have to say! We’re an email or a phone call away. But remember, you have the right to use the shop of your choice. Jason Gilbert is the founder, owner, and operator of Gilbert’s Collision Center. The body shop began in 1997 at its former location on Georgetown Rd. In 2005, we moved to our state-of-the-art facility at our present location. Accident? Ask These Questions First! My insurance company told me to take my car to another shop. Am I required to take it there or can I use the shop of my choice? You have the right to use the shop of your choice. However, if your insurance company instructs you to obtain an estimate from a particular shop, get a written estimate there and then bring it to the shop you want to make the repairs. Can I take my car to any shop I choose? Yes. It’s your car—it’s your choice. Under state law it is illegal to “steer” you to a particular shop. Always take your vehicle to a shop you trust. Do I need three estimates? In most cases, insurance companies no longer require multiple estimates. They realize that duplicate efforts cost more money in the long run. When you bring your car to our shop., we will write an estimate and submit it to the insurance company. Once they approve the estimate, we can begin work on your vehicle. If I bring my car to you, can you save me some or all of my deductible? No. Your deductible is exactly the same thing as your co-pay at the doctor. Beware of any shop that claims to save your deductible. How are they reducing the costs? Using cheaper paint? Using inferior parts? Remember, you usually get what you pay for. Most reputable collision shops will not reduce your deductible. I have two estimates and they are several hundred dollars apart. Why? I was in an accident and the other driver was at fault. The other driver says he (or she) does not want to use insurance. He or she says to get three estimates and he or she will pay the lowest estimate. What should I do? The other driver is responsible for getting your car back like it was before the accident. You have the right to take your car to the shop of your choice, not just the shop that gives you the lowest bid. It is best if you can go through the other person’s insurance. If the other driver insists on not using his or her insurance, get them to agree to pay YOU up front, then you pay the shop. Make sure they are aware that additional charges may occur. If they want to pay the shop directly, we require a money order, cashier’s check, or credit card for the amount of the estimate BEFORE we begin work. This is for your protection—if the other driver pays with a personal check that bounces, you are still responsible for the payment. Customer testimonies — they literally speak for themselves.